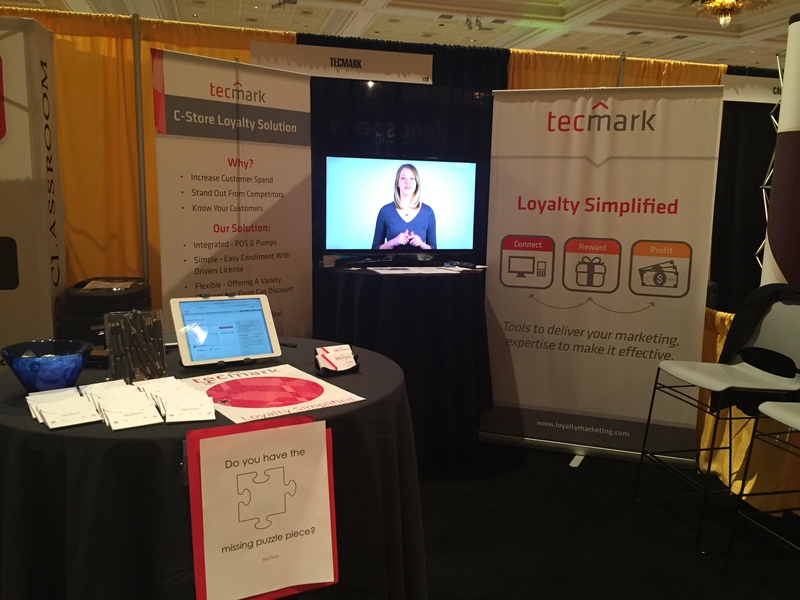 Last week, Tecmark exhibited at the WPMA show for the first time. We made some great connections and hopefully we will be able to help many of the businesses as they compete and want to grow their business by getting customers into the store more often. During WPMA, I attended a presentation by Gray Taylor (Executive Director, Conexxus). I went in anticipating a boring presentation about payments and came out really fascinated by some of the information that he shared. Conexxus is an independent non-profit, member run organization whose mission is to addess technology standards to improve business processes, reduce costs and increase productivity for the convenience and fuel retailing industry. 1. Apple Pay will be coming out with versions that will make the process even more effective. The interesting part to watch will be how they will be controlling mobile marketing, specifically coupon offers due to patents that they have. The other scary part is that you, as the c-store, will not have access to the customer data like you may access today with credit cards. This is what makes it secure, but it also makes it more difficult for you to market and target. So, you need to think about how to get the consumer to connect - and loyalty programs are still a great option, especially since there are mobile loyalty options. 2. Consumers are leading "retail" by redefining expectations due to the technology experience they have had in other aspects of their life. Today's consumers expect things "their way" which is what mobile allows them to do. They are time starved; their life is online, they're always connected, they expect to get information on demand, and they are desperately seeking simplicity in a complex world. 3. Technology is constantly changing and security for businesses and their customers will continue to be critical to acceptance, use and engagement, but most importantly to be in compliance with government regulations. 4. Competition for c-stores continues to grow. Dollar stores, grocery stores, drug stores - these are all increasingly adding products similar to c-store offerings. So, as a c-store, how do you compete? The big difference is that each of these stores are part of large chain instead of being one of 96,000 independently owned c-stores. The advantage is that c-stores can quickly make changes and can truly connect with their customers quicker and more effectively than chains can. The disadvantage pertains to the marketing and technology support. 5. Payment learnings included - 10% of all credit card transactions are done at a c-store. It is predicted by Nielson that only 25% of retail payments will be made in cash by 2018. This means that payments will be made by card and phone instead of carrying cash. Then, it is key to reduce those payment costs for the c-store. The success of tying a loyalty card to an ACH payment has been demonstrated and is one alternative until mobile gains more acceptance. I will be interested to see how the cost structure evolves for the mobile payment options. These are just a few of the fun facts that Gray shared at WPMA. The interesting part is how loyalty is tied into all of these future components, including mobile rewards. There is no doubt that mobile is where we are heading for payment, loyalty and connecting with customers. I am excited about the initiative to standardize both mobile and loyalty interfaces with the POS systems used in c-stores. This will give the c-store the chance to choose the best loyalty partner for their needs instead of choosing from a limited number of loyalty partners that are connected to a particular POS. These standards will open the door for c-store owners. 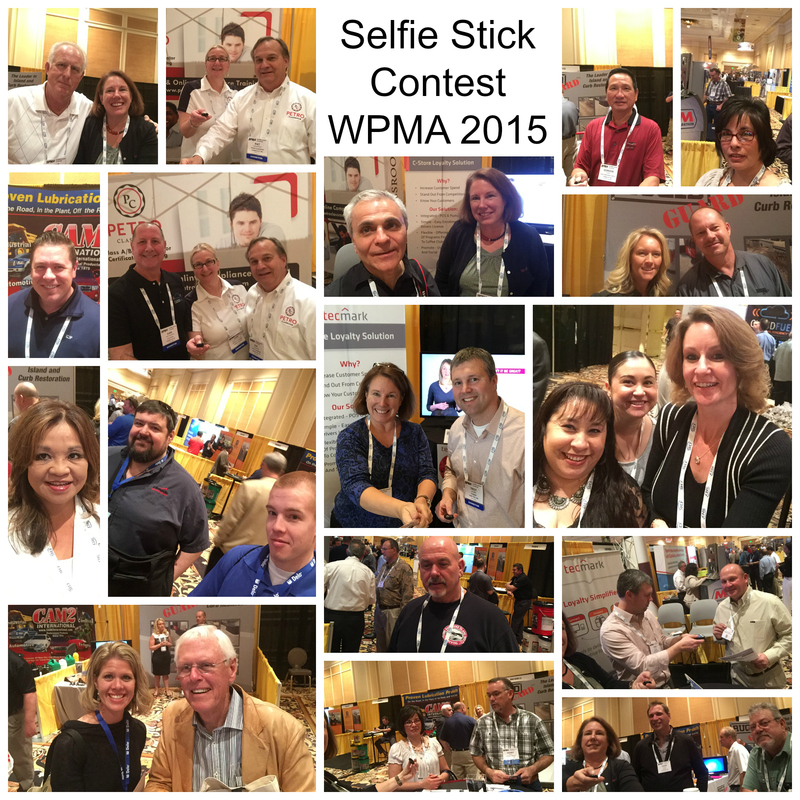 At WPMA we had a little fun with our selfie stick promotion. Here are just a few of the visitors we had who were willing to participate in order to potentially win a selfie stick! Are you a C-Store owner wondering how you can compete? Download our whitepaper: The Location-Based Guide to C-Store Competition.